Hey y’all. A nice little aesthetic post for you today, and one that I’ve been really looking forward to sharing. 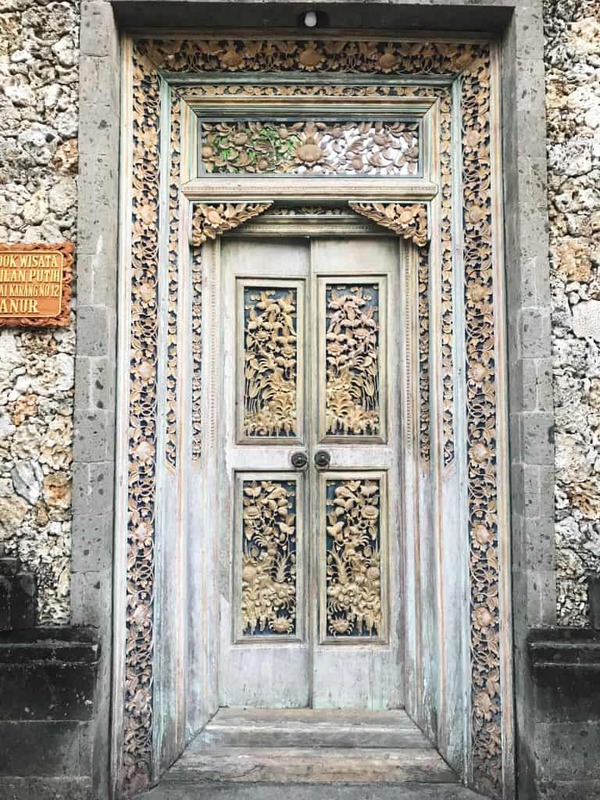 One of the best bits of travel is finding unexpected little gems; things that you wouldn’t really have imagined or ever thought would be a thing. 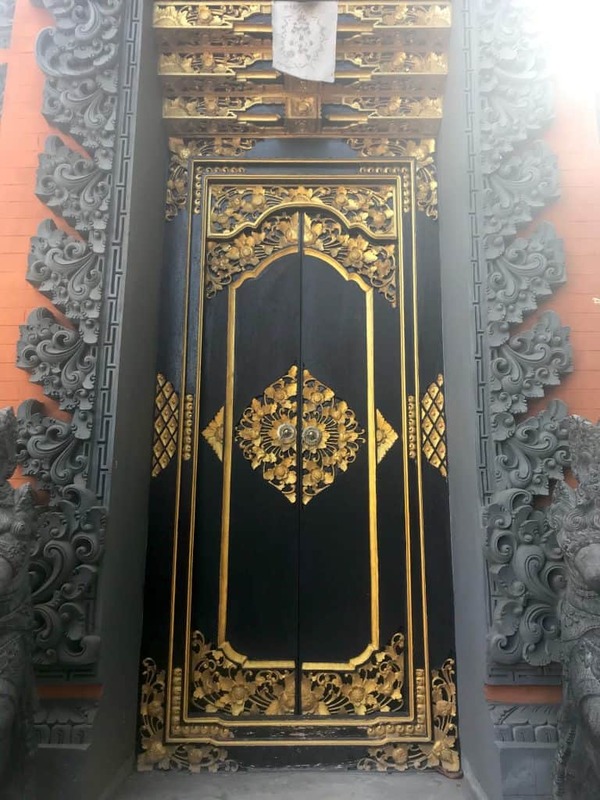 Bali doors are one of these. 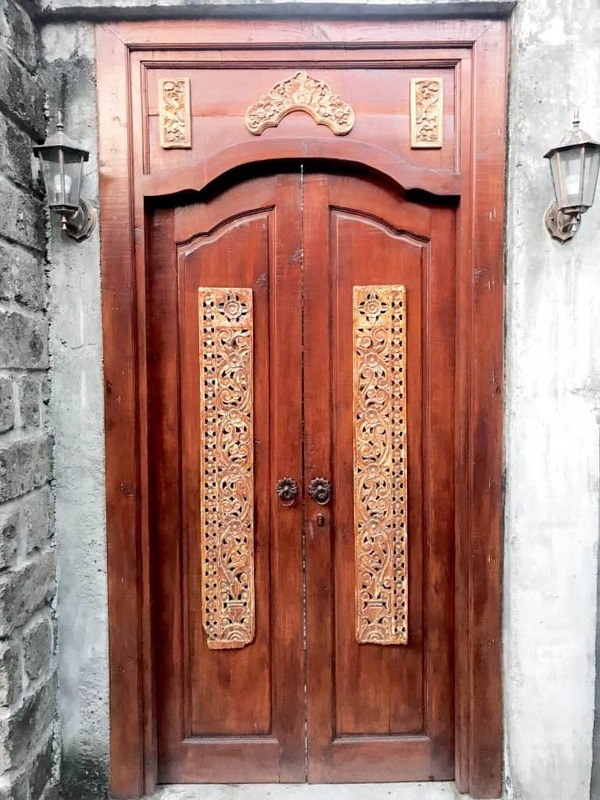 They’re a-DOOR-able. (Sorry). 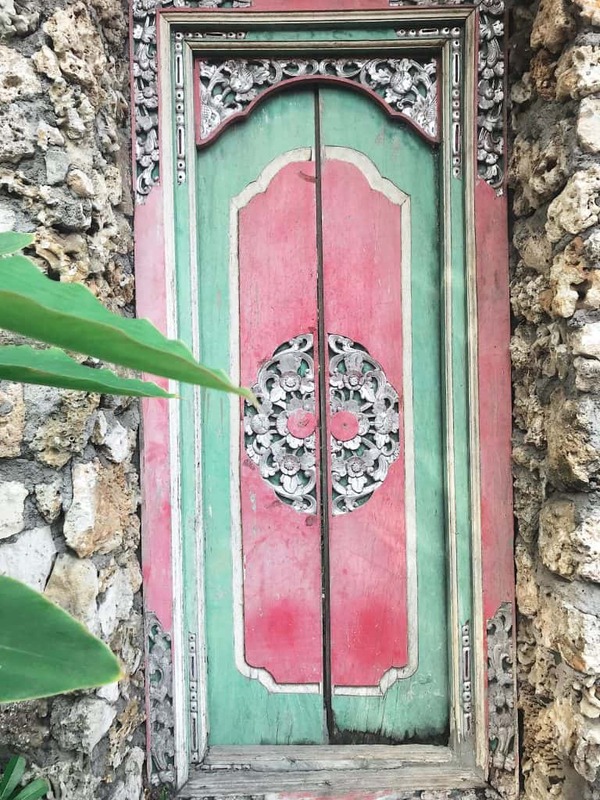 Please Pin this to share Bali’s beauty with others! 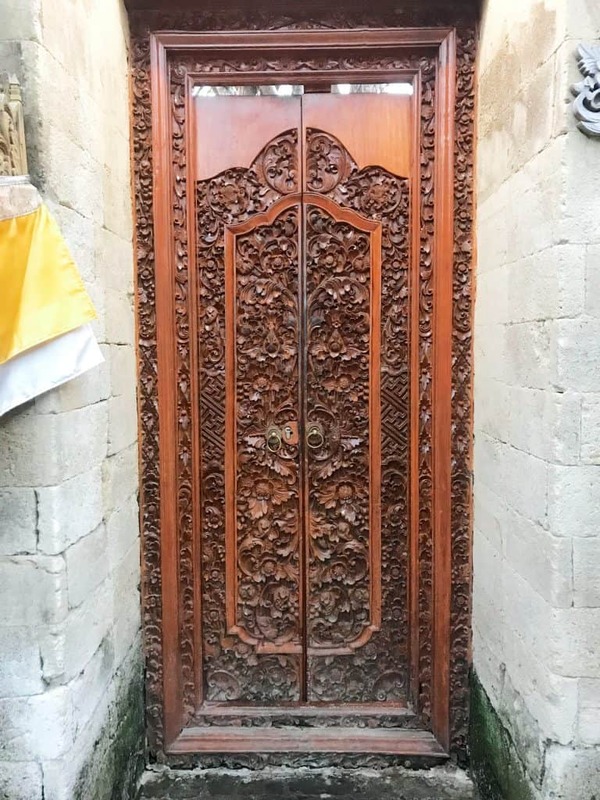 The Balinese take a lot of time, effort and pride in crafting their doors. 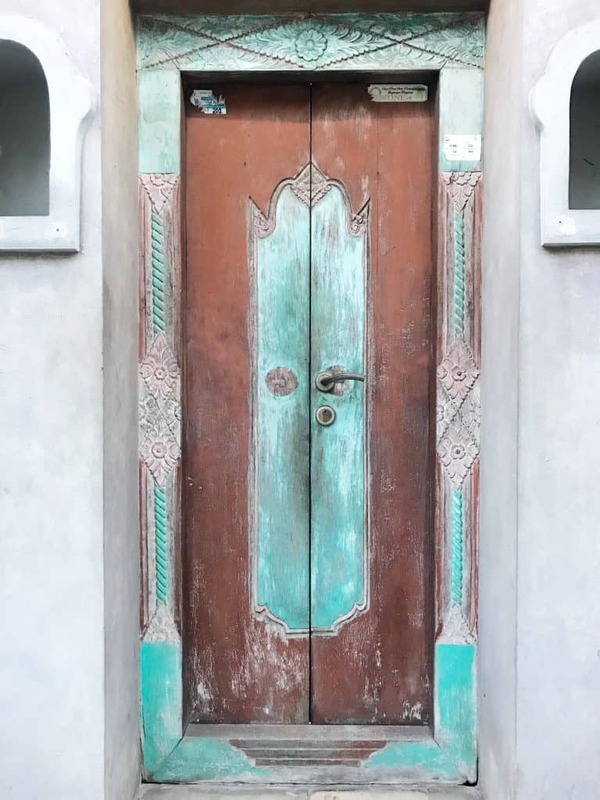 I think this is fab as it gives a lovely first impression; no matter how run-down the building is, a nice door is welcoming and shows people that care and attention has gone into the place. 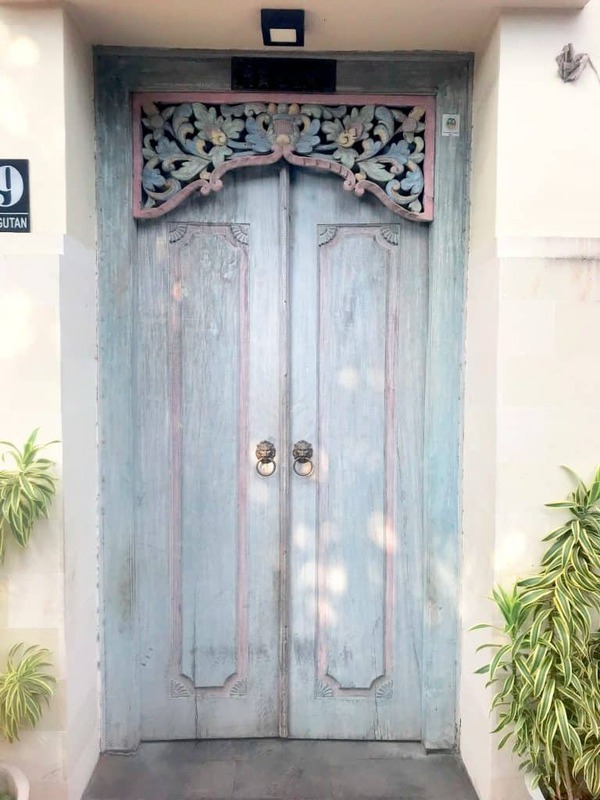 We’ve seen bright doors, white-washed doors, wooden doors, iron doors and sliding doors, and they’re all pretty gorgeous. 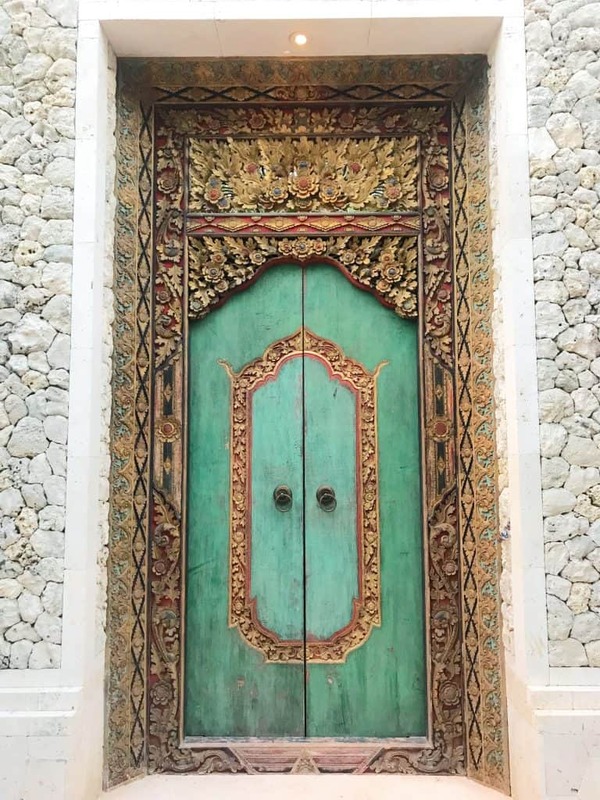 Here are 10 of our favourite Bali doors from our local area. Enjoy! 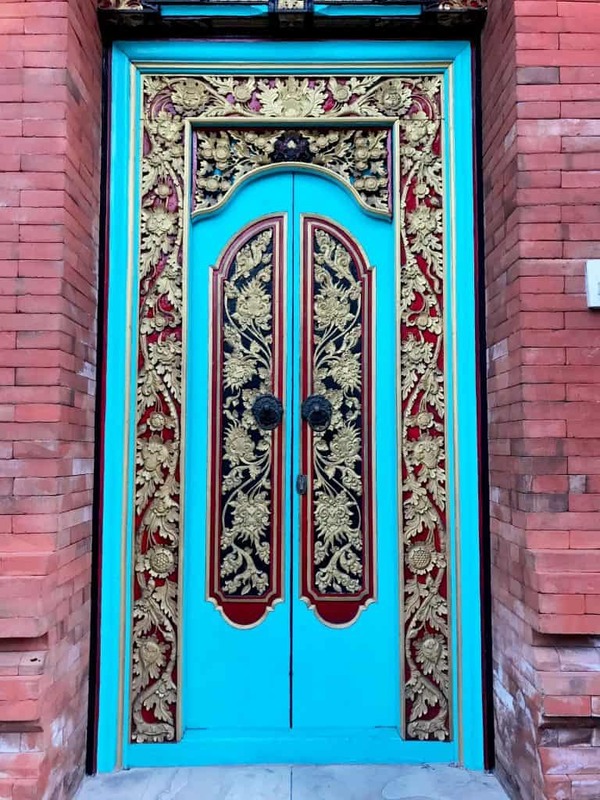 A gorgeous ornate green door with golden carved detailing, especially at the top. 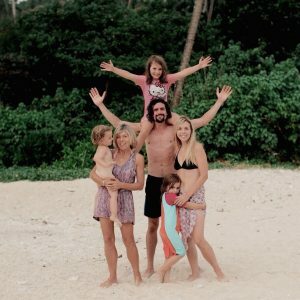 For more insight and tips about Bali life, click here.